Radio communications of the MiG29 responsible for the February 24, 1996 Brothers to the Rescue shoot down with the control tower in Cuba as the attack occurred killing Armando Alejandre Jr. (45 years old), Carlos Alberto Costa (29), Mario Manuel de la Peña (24), and Pablo Morales (29). Editor’s Note: “Operation Scorpion” was a joint mission conducted by the Directorate of Intelligence (DI) and the Cuban Air Force. Approved at the highest levels of the Castro regime, the operation involved months of planning and espionage work. The two unarmed search-and-rescue aircraft were shot down in international airspace. The mission of Brothers to the Rescue was saving rafters who had fled Cuba. Travel to Cuba is a new fad, helped by the changes the Obama administration has made in U.S. policy. It’s easy now for almost any group to go there, under the guise of some educational program or purpose. But travel to Cuba has long been a practice for American leftists, who have seen the Castro regime not as a brutal oppressor of human rights but as a beacon of light in the Hemisphere. No democracy, free expression, freedom of the press, free trade unions? Who cares, after all? The thrill of visiting the communist island has been too much to resist. museum tours with eminent art and cultural historians; seminars and lectures featuring renowned Cuban economists, government officials, community activists, physicians, and urban planners; exclusive concerts with popular jazz artists, troubadours, and folk musicians; performances by students of Cuba’s internationally acclaimed ballet institutes; visits to artist’s colonies and studios; guided tours of Old Havana, the Latin American Medical School, and the University of Havana; and visits to many other inspiring locales and events. a meeting and discussion with the Cuban Five, the intelligence agents considered national heroes after spending many years imprisoned in US jails. This is pretty remarkable. The Nation describes the tour as “a particularly inspiring and extraordinary time to experience the people, politics, culture, and history of Cuba in a way few ever have before.” In a way few Americans ever have before? Now, that’s true enough: how many American get to meet with and celebrate people who spied against our country and were convicted of conspiracy to commit espionage and conspiracy to commit murder? How many Americans want to? Due to their actions four Americans died, in a Brothers to the Rescue plane shot down in international airspace. But the frisson of meeting people who actually—the Cuban government has admitted this—were intelligence agents and were convicted of spying on the United States is so wonderful that it is worth the $5,550 per person fees for the tour. 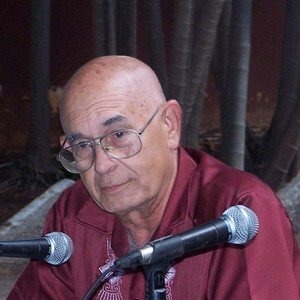 Cuban intelligence officer Gerardo Hernandez was a central character in the frosty relations between Cuba and the United States. His return to Cuban soil on December 17, 2014 marked a dramatic new beginning for both countries. After 16 years in US prisons, he was given a hero’s welcome, and remains defiant and loyal to his government. In 2001 he was convicted by a Miami court and handed down two life sentences for sending intelligence back home to Cuba. The court said his actions assisted in the murder of Cuban exiles – in the shooting down of two planes – who were attempting to overthrow the Castro government. He was a spy, but Hernandez, and the other members of the so-called “Cuban Five” spies captured on US soil and now released, have been declared national heroes by Fidel Castro and were decorated by Cuban president Raul Castro earlier this year. All this time he had been separated from his wife Adriana Perez, yet, to the surprise of many she was nine months pregnant when he returned to Cuba in 2015. What hadn’t been revealed was that in an unusual diplomatic gesture of good will, officials on both sides had worked to send Hernandez’s sperm to Panama, so that the couple could have a child through artificial insemination. Now, for the first time, Hernandez and his wife share the story of his imprisonment and release, Perez‘s experiences, how Hernandez posed as a Puerto Rican graphic artist in the US before his capture and how their child was conceived in a diplomatic move, as they talk to Al Jazeera in Havana, Cuba. Two U.S. senators who traveled to Cuba are extremely disappointed they’re returning without Maryland’s Alan Gross. In 1999, I accompanied the Baltimore Orioles on their historic trip to Havana, Cuba. This marked the first time since 1959 that a Major League Baseball team played in Cuba. Many of us hoped that a baseball game involving teams from the United States and Cuba might be a precursor to normalized diplomatic relations the way a ping-pong match signaled a change in U.S. relations with China. Unfortunately, those hopes were not fulfilled. see how life had changed since the Orioles’ visit. What I learned was that, on a people-to-people basis, the citizens of Cuba and the United States desire close ties and normal business relations, but the governments of our two countries remain stuck in Cold War-era political battles. Although both Cuban and American doctors are in West Africa fighting the Ebola crisis, such cooperation remains the exception rather than the rule. One hears statements from some government officials about a willingness to begin a new era of diplomatic relations the way a new era seemed to begin in U.S.-Soviet relations with the destruction of the Berlin Wall. However, there always seems to be a roadblock erected just as the parties move forward. 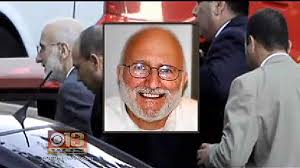 The current roadblock involves the imprisonment in Cuba of Maryland resident Alan Gross and the imprisonment in the United States of a group known as the Cuban Five. I believe that the Maryland delegation to Congress may hold the key to opening the prison doors for all these men and subsequently opening a new era of diplomacy for these two countries. Alan Gross, a 65-year-old from Montgomery County, was arrested in Cuba in 1999 while working on a contract sponsored by the U.S. Agency for International Development to increase Internet access in small communities across the country. The Cuban government alleged that his work entailed acts detrimental to the Republic of Cuba (essentially labeling him a spy) and sentenced him to a term of 15 years. He has served four years. His friends and supporters indicate that he is in very poor health, having lost about 100 pounds while incarcerated. 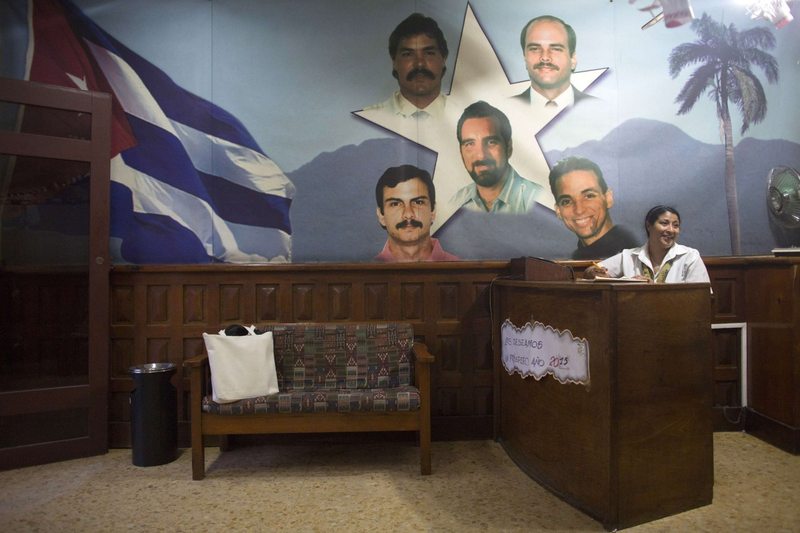 The Cuban Five are, in fact, intelligence officers sent to Miami in the 1990s to collect information on local anti-Castro groups allegedly engaging in activities that violated U.S. law, including acts of violence designed to bring down the Castro regime. Although the U.S. government received evidence supporting those allegations, U.S. prosecutors targeted not the groups in question but instead the five Cuban intelligence officers. 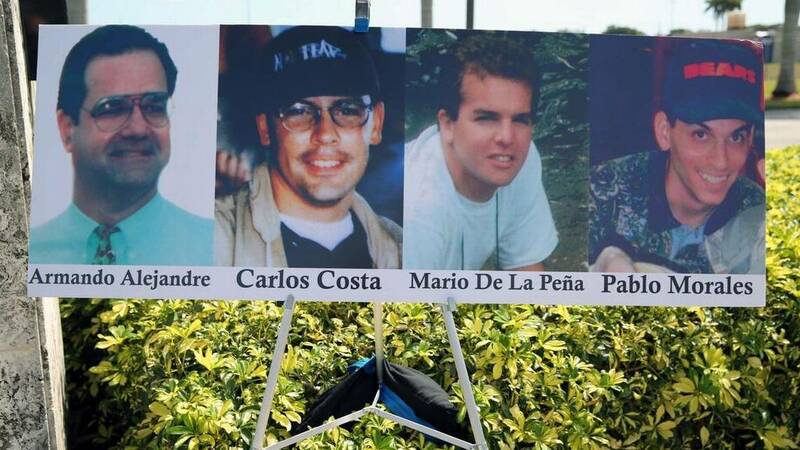 The government chose to prosecute the Cuban Five in — of all places — Miami. 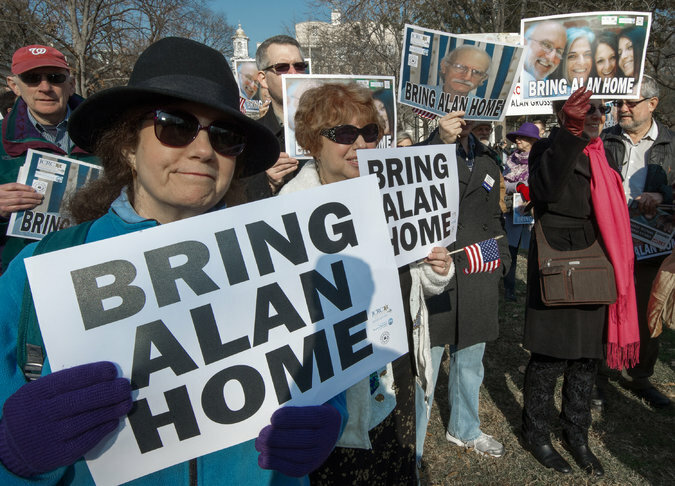 Nearly five years ago, authorities in Cuba arrested an American government subcontractor, Alan Gross, who was working on a secretive program to expand Internet access on the island. At a time when a growing number of officials in Washington and Havana are eager to start normalizing relations, Mr. Gross’s continued imprisonment has become the chief obstacle to a diplomatic breakthrough. Officials at the White House are understandably anxious about the political fallout of a deal with Havana, given the criticism they faced in May after five Taliban prisoners were exchanged for an American soldier kidnapped in Afghanistan. The American government, sensibly, is averse to negotiating with terrorists or governments that hold United States citizens for ransom or political leverage. But in exceptional circumstances, it makes sense to do so. The Alan Gross case meets that criteria. Under the direction of Development Alternatives Inc., which had a contract with the United States Agency for International Development, Mr. Gross traveled to Havana five times in 2009, posing as a tourist, to smuggle communications equipment as part of an effort to provide more Cubans with Internet access. The Cuban government, which has long protested Washington’s covert pro-democracy initiatives on the island, tried and convicted Mr. 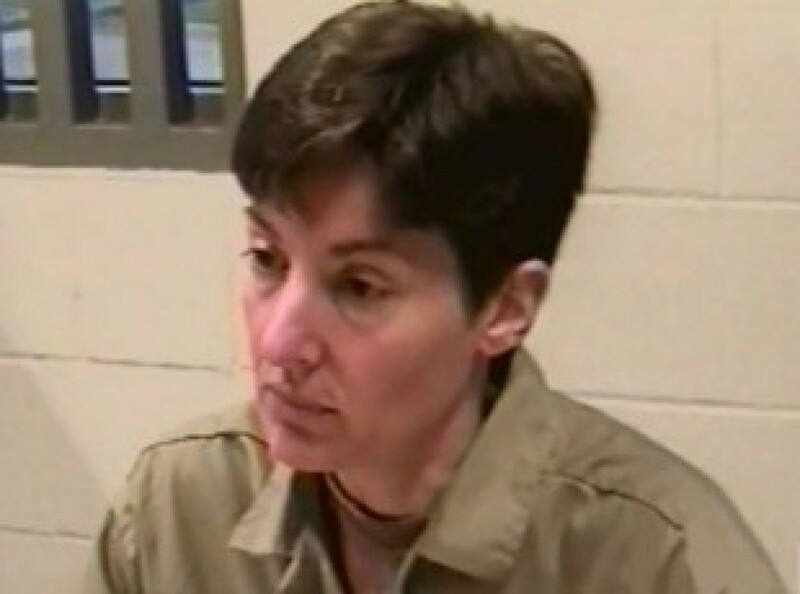 Gross in 2011, sentencing him to 15 years in prison for acts against the integrity of the state. Early on in Mr. Gross’s detention, Cuban officials suggested they might be willing to free him if Washington put an end to initiatives designed to overthrow the Cuban government. After those talks sputtered, the Cuban position hardened and it has become clear to American officials that the only realistic deal to get Mr. Gross back would involve releasing three Cuban spies convicted of federal crimes in Miami in 2001. In order to swap prisoners, President Obama would need to commute the men’s sentences. Doing so would be justified considering the lengthy time they have served, the troubling questions about the fairness of their trial, and the potential diplomatic payoff in clearing the way toward a new bilateral relationship. The spy who matters the most to the Cuban government, Gerardo Hernández, is serving two life sentences. Mr. Hernández, the leader of the so-called Wasp Network, which infiltrated Cuban exile groups in South Florida in the 1990s, was convicted of conspiracy to commit murder. Prosecutors accused him of conspiring with authorities in Havana to shoot down civilian planes operated by a Cuban exile group that dropped leaflets over the island urging Cubans to rise up against their government. His four co-defendants, two of whom have been released and returned home, were convicted of nonviolent crimes. The two who remain imprisoned are due for release relatively soon.